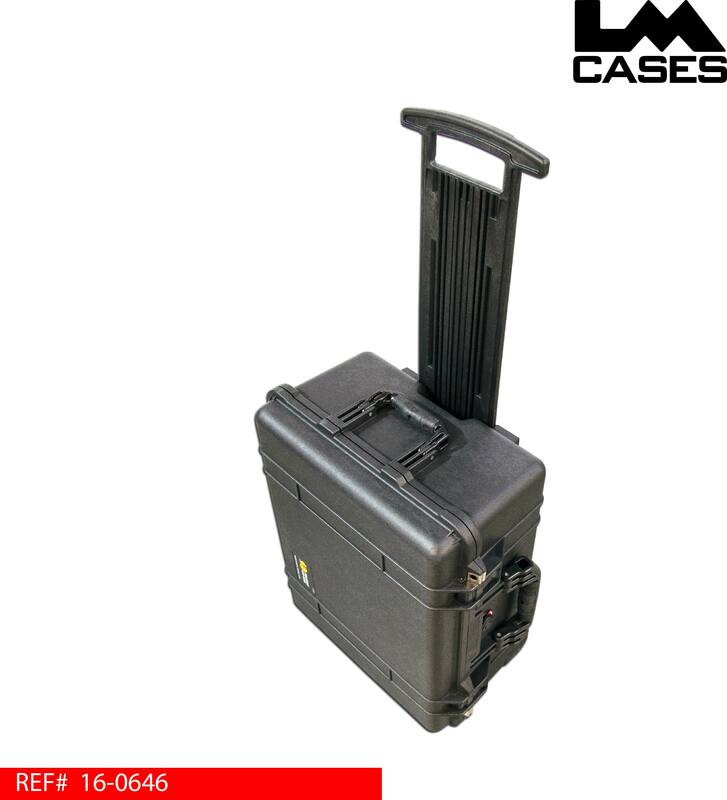 This case is designed to hold a Radial Engineering SixPack 500 Series Chassis. 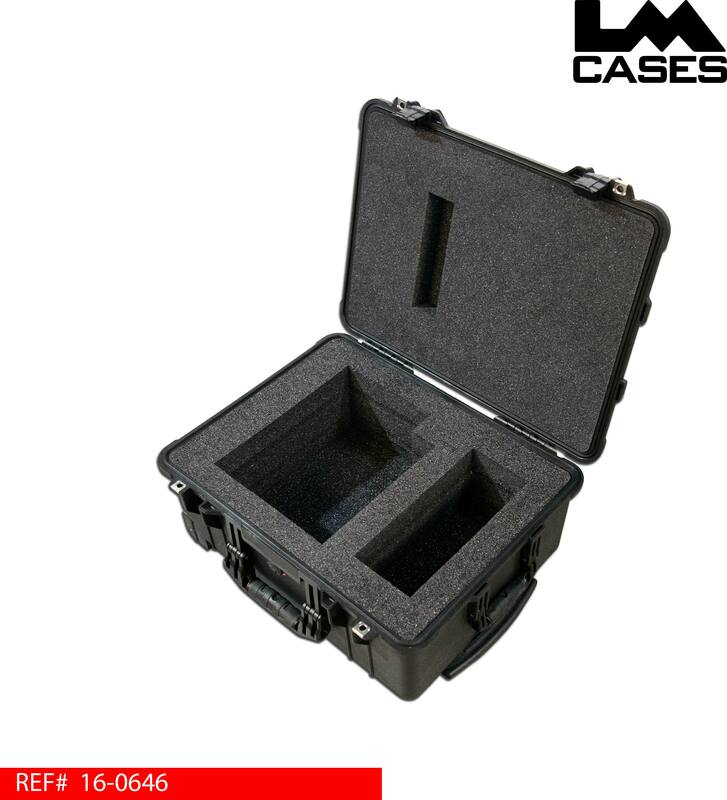 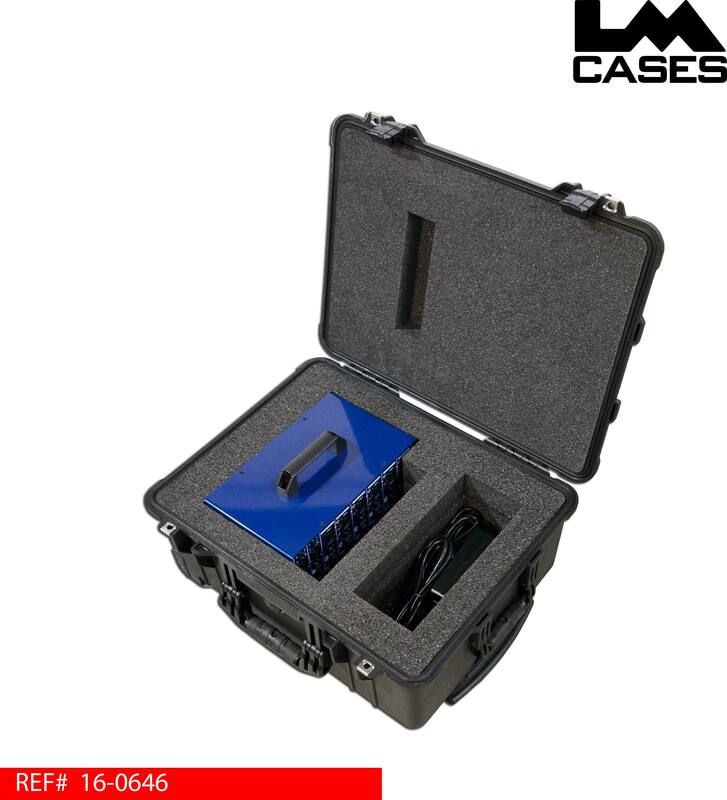 The case holds the unit in a custom CNC cut foam insert that allows the knobs on each unit to float and not come into contact will the walls of the foam insert. 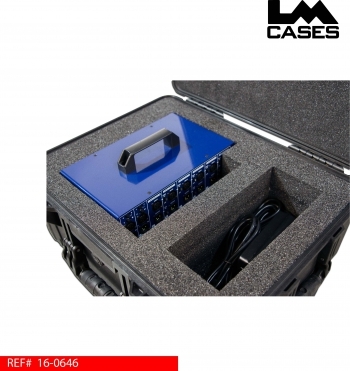 In addition to holding the SixPack by its sides a slot is incorporated into the lid to accommodate the handle for rock solid placement, there is also a slot for the units power supply. The foam insert is mounted in a waterproof Pelican 1560 case.